Maple sap overflowing from central collection tanks at the bottom of a sugarbush. Inside the Sugar House at Mill Hollow Maple. 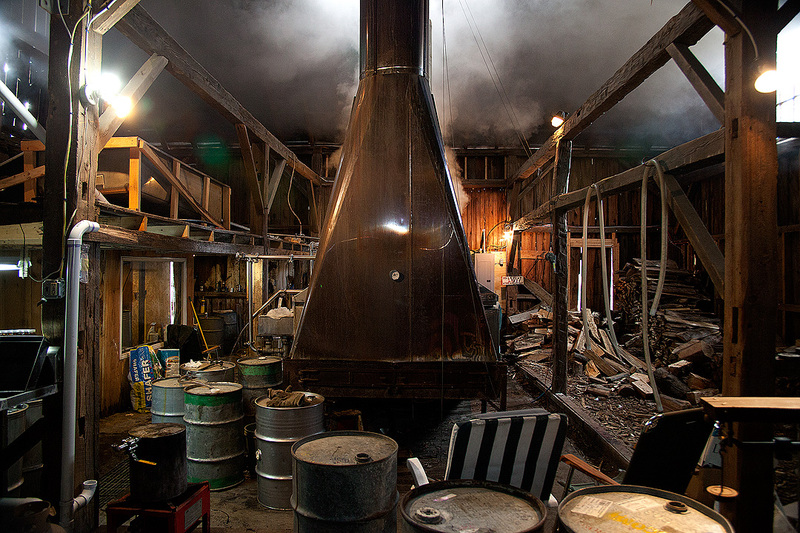 Here are a few outtakes from a photo story I shot about making artisanal maple syrup at Mill Hollow Maple in New Lisbon, New York. 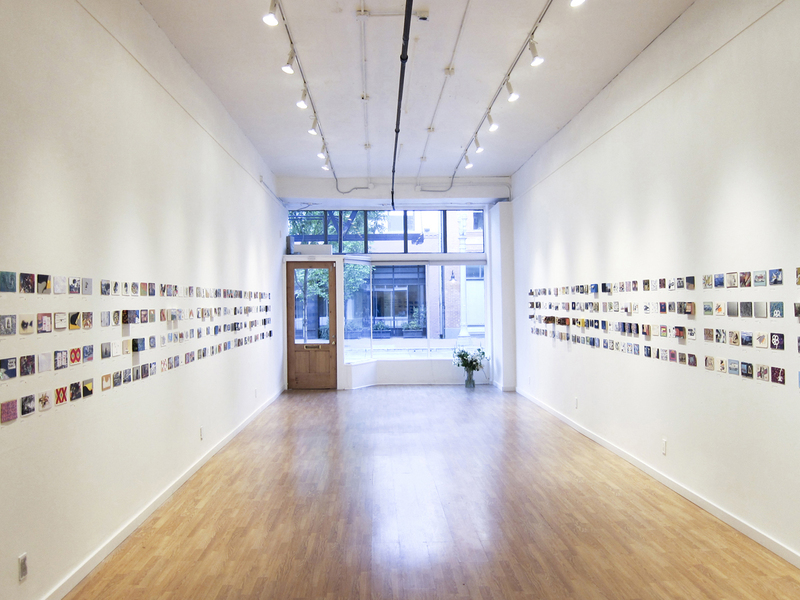 Curator Sven Davis just emailed me some installation shots from the 'Wider Than a Postcard' group show at Breeze Block Gallery in Portland, Oregon. 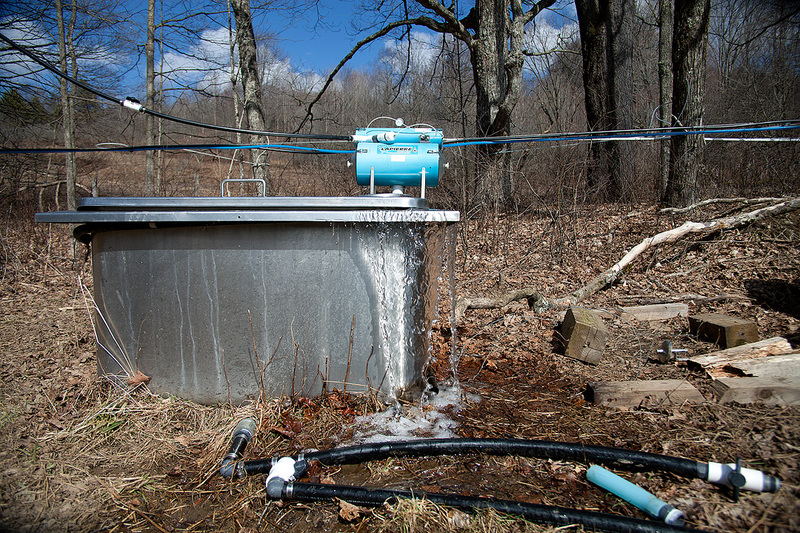 I recently visited Mill Hollow Maple, a Certified Naturally Grown maple syrup producer in upstate New York to document the process of syrup being made. Food52.com just ran a piece featuring the resulting photographs. Please CLICK HERE to see all the images and read the full story. 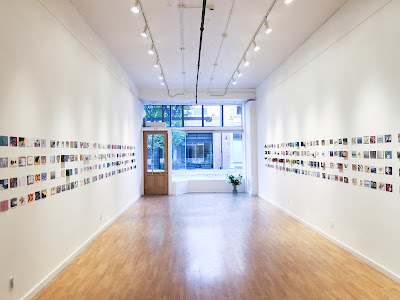 May 2013: Portland, Oregon is the location for Wider than a postcard, the latest curatorial collaboration between Arrested Motion’s Sven Davis and Breeze Block Gallery. Over 200 artists have been invited to produce up to 3 works each based on the traditional postcard format. 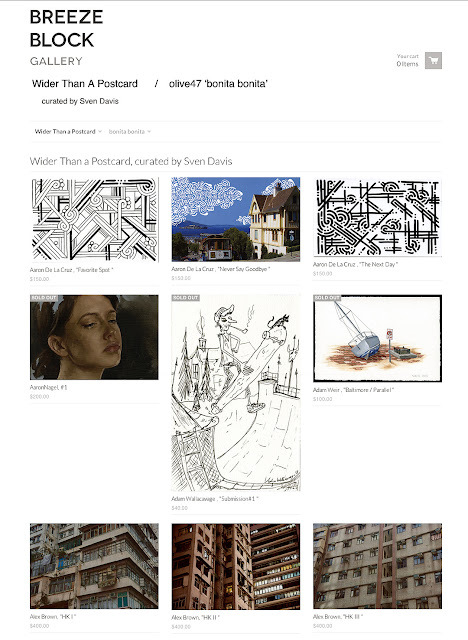 The surface can be an antique postcard – either from a thrift store or maybe even from the family archive, a new shop-bought card or a home-made postcard on each artists chosen medium to the 6×4 inch size limit imposed. Each postcard can either start as a blank canvas or the new composition can be woven into the existing image on the card. The artworks are to be displayed in a grid formation to create an holistic installation of more than 400 individual artworks. The postcards must come from, and be named thus, a current or past place of residence and the thematic subtext is based loosely around place and belonging. 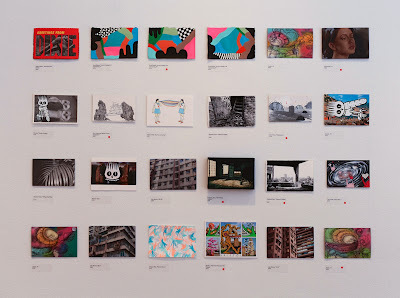 The exhibition will also serve as a comparative survey of how artists interpret the same brief, giving a unique insight into the varying creative processes of each participant.